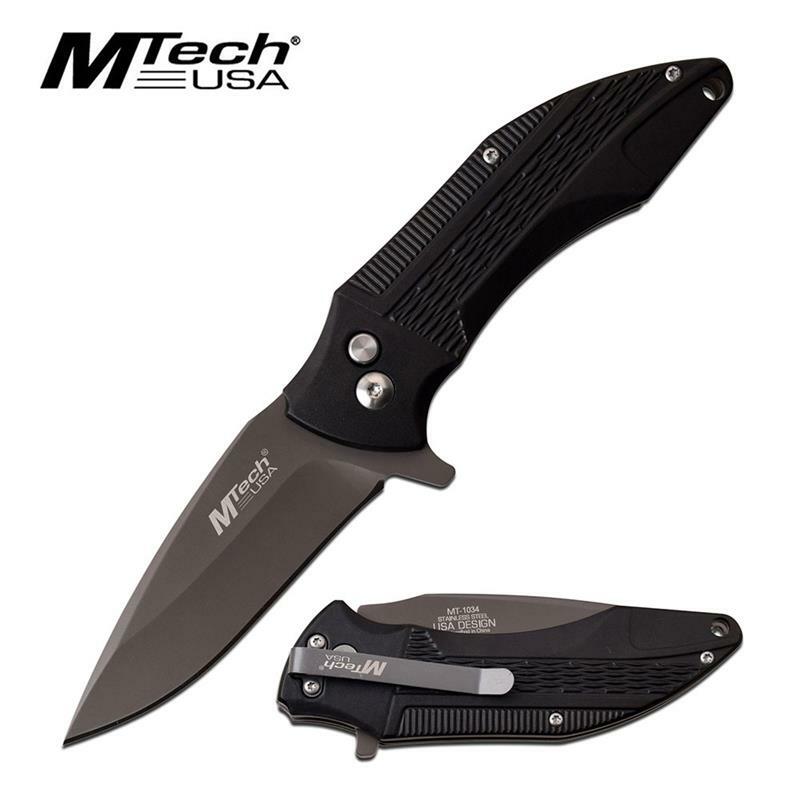 MTech USA manual folding pocket folding knife. 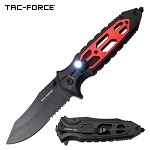 This folding knife is 7.5 inch opened overall. 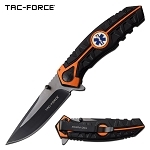 MTech USA manual folding pocket folding knife. This folding knife is 7.5 inch opened overall. 3 inch blade length. 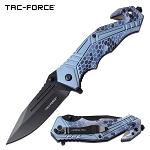 The blade is constructed with 3cr13 steel and is coated grey tinite. It has a beautiful design black aluminum handle. Knife closing system is action closing and has a ball bearing pivot. It includes a pocket clip.